Bring the theater experience back home with you’re the best home theater subwoofers 2019. You don’t have to visit the cinema to enjoy a great movie. Missed out on blockbuster movies like The Fate of the Furious or Jurassic World? Get a sub-woofer to supplement your home audio system and you can watch a movie from the comfort of your home and still enjoy the powerful movie sound effects that can be comparable to what you would experience at the theater. Not a big fan of movies? Well maybe you want to have an intense music-jamming session at home. Or perhaps you are a gamer and you want to experience the ultimate audio sound effects when you’re playing your favorite video game. The best home theater subwoofer 2019 will deliver the audio experience that you so desire: thrilling bass for your music and video games. For the best home theater subwoofers 2019, you’ve come to the right place. In this article, we’ll be taking a look at our top five picks when it comes to the best home theater subwoofers that are currently available in the market. What Should You Consider When Deciding On The Right Home Theater Subwoofer? To get you started, here are some things you should consider when deciding on the right home theater subwoofer for your home. Typically, a subwoofe﻿﻿r with a bigger surface area will play deeper. That said, deeper is not necessarily better. You should get a subwoofer that matches your other audio speakers for a seamless audio experience. For example, if you use compact satellite or bookshelf speakers, an 8-inch or a 10-inch subwoofer should be a good fit. If you are using huge tower speakers, try something that is 12-inch or larger. Besides the size of your audio speakers, you should also consider your room size. For a small cozy bedroom, a modest subwoofer would do the job. If you’re looking to fill up the audio void of a large hall, then a larger subwoofer would make more sense. Last but not least, you should also check that your subwoofer would fit in the designated location where you will be placing it. You don’t want to get a subwoofer that looks out of place or ends up jutting out where it shouldn’t and ruining the entire look of your room. 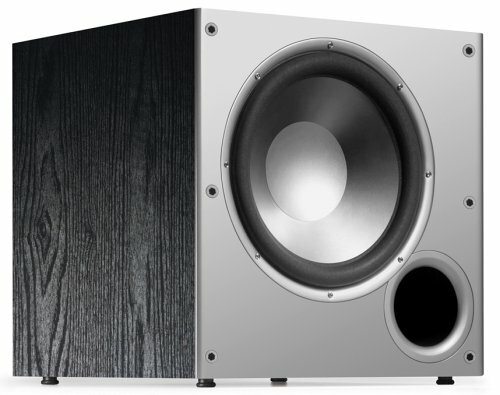 Depending on where you intend to place your subwoofer, a front-firing or a down-firing subwoofer may make better sense. Since the subwoofer is all about the bass, you don’t have to place your home theater subwoofer close to your front speakers. After all, sounds with lower frequencies are usually not as directional as higher-frequency sounds. All this means that a down-firing subwoofer would work fine. In terms of placement, it’s best to put a down-firing subwoofer along a wall so that the bass is distributed more evenly across the room. That said, if you want to place your subwoofer near your front speakers, a front-firing subwoofer would be the better choice. For a corner placement, we would recommend that you go for a down-firing subwoofer. With sealed enclosures (otherwise called acoustic suspension), you get tight and precise bass from your home theater subwoofer. There’s no air movement which makes these subwoofers very responsive. That said, subwoofers with a sealed enclosure design also tend to be less efficient than one with a ported (otherwise known as bass reflex) enclosure. This means that the former needs more power to provide the same amount of bass. Subwoofers with ported enclosures come with vents. The vent reinforces low bass frequencies, so you can get more output from a ported box with less power as compared to a sealed box. The downside in this case is that subwoofers with ported enclosures sacrifice some accuracy in the bass. Both designs have their merits and either one makes for great bass. If you really had to choose between the two, we would say that a sealed box works better if you are an acoustic, classical or jazz music lover. For more chest-thumping music genres like hip-hop and rock, you may prefer a home theater subwoofer with a ported enclosure. Most home theater subwoofers are not wireless. To connect your subwoofer to your receiver, you will have to get a subwoofer cable. For home theater subwoofers that come with a wireless connection option, check the accessories that come with your subwoofer and include the wireless connection kit. Otherwise, you can also opt for a universal wireless adapter kit that can be used for almost any subwoofer. Generally speaking, a bigger room would be better served by a more powerful home theater subwoofer. That said, you can still get a lot of bass from a lower-powered subwoofer. The amplifiers and the drivers in the subwoofers are optimized to work hand in hand, to ensure that you get the best possible bass performance. Ever heard the saying that two is better than one? Yes, this applies for your home theater subwoofers too. Most home theater receivers come with two sub outs for subwoofer connection, which means that you can include a second subwoofer in your home theater system. Having two subwoofers gives you a more impactful sound dynamic and helps to distribute the bass much more evenly around the room. Why’s that so? Simply put, including another subwoofer can help to fill in “bass gaps” in the room where the bass response is weak. This ensures that everyone in your room or your home theater gets to enjoy tight and deep bass. Let’s check out the five best home theater subwoofers 2017 on our list. Polk is an established name that rings a bell to all audio gadget fanatics out there. The PSW10 is a single-powered 10-inch subwoofer. Don’t be deceived by its small size and its relatively low price. This home theater subwoofer 2019 that can bring your home theater experience to the next level. The PSW10 is designed to deliver thundering loud and precise bass. It has a frequency range of 40 to 160 hertz. With its floor coupled downward firing port, the PSW10 delivers the best bass impact while keeping the cabinet front a low profile. To ensure that this home theater subwoofer blends perfectly with the speakers, the PSW10 comes with an adjustable low-pass crossover, a phase switch and volume controls. The standby switch enables this home theater woofer to turn on automatically when the amplifier powers on. This is a great feature for extra convenience-users don’t have to leave this subwoofer on all day or switch it on and off manually whenever they need to use it. The PSW10 comes with a one-year warranty. For a relatively smaller room like a cozy bedroom or study room, the PSW10 would be the perfect addition. For a small room, however, a larger and higher-powered subwoofer would be more ideal. That said, for its above features, it’s no wonder that many customers consider the PSW10 a steal for just under $100. This home theater subwoofer is one of the best-selling subwoofers on Amazon. If you are on the hunt for a budget home theater subwoofer 2019, we highly recommend that you consider the PSW10. The Klipsch Reference R-115SW is our top pick for the best high-end home theater subwoofer 2019 and it’s not hard to see why. This 15-inch copper and black home theater subwoofer delivers 800 watts of heart-pounding bass in a beautifully-designed case. The spun copper in the middle of the subwoofer unit helps to deliver incredibly low frequencies. There are many other cool features that give this subwoofer its superb sound quality. The Klipsch Reference R-115SW’s built-in all-digital amplifier makes it a highly efficient unit that delivers true-to-source preciseness. Klipsch’s proprietary internal geometry make-up for the subwoofer reduces port noise for low frequencies that are clear and undistorted. With its low pass crossover and variable phase control, the subwoofer’s low frequencies can blend in seamlessly with your speakers for that perfect bass level. Another great selling point for the Klipsch Reference R-115SW is the ease of adding wireless capability to your home theater system. Purchase the Klipsch wireless connection kit and you can connect the subwoofer to your home theater system by wireless. With its front-firing design, you have more choices when it comes to the placement of this subwoofer. The Klipsch Reference R-115SW comes with a five-year warranty. At a price that is close to $800, this home theater subwoofer is not for the faint-hearted. That said, this is still a great bargain if you consider more expensive subwoofers that go up to $1000, $2000 or beyond. 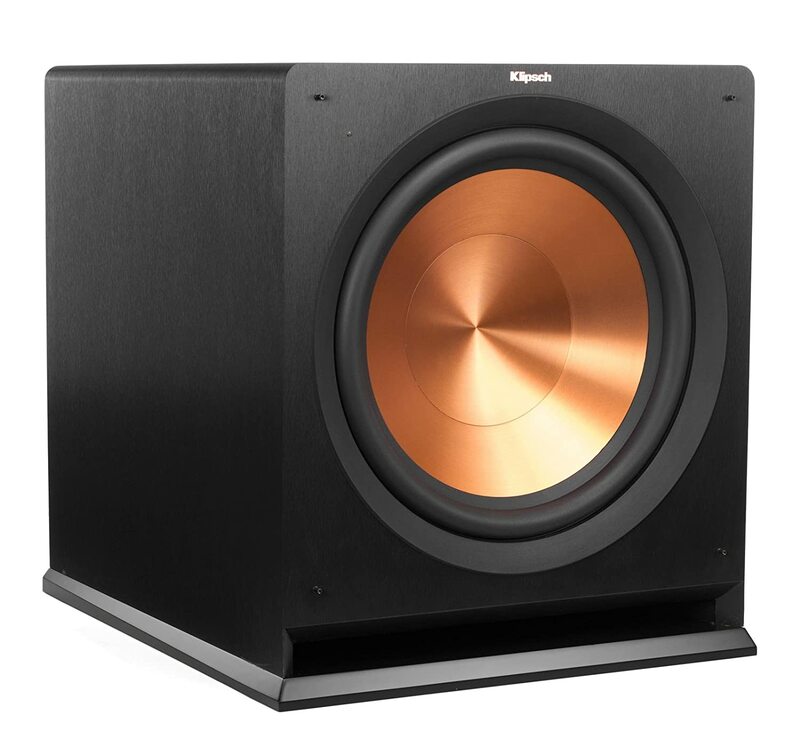 At under $1,000, the Klipsch Reference R-115SW has been said to be able to rival some of the higher-end subwoofers in the $1000-$2000 price category, maybe with a few decibels less in terms of output when compared to the higher-end subwoofers. For those who can afford this subwoofer, we think that this is one of the best high-end home theater subwoofers 2019 that you should be looking at. Over 90% of Amazon customers who have purchased this subwoofer have given it rave reviews and it’s selling fast, so grab one while you can! The BIC America F12 is a 12-inch front-firing powered home theater subwoofer that has been described to be a “powerful subwoofer that packs a punch” by many Amazon customers. If you want a subwoofer with the best output capability, look no further from the BIC America F12. 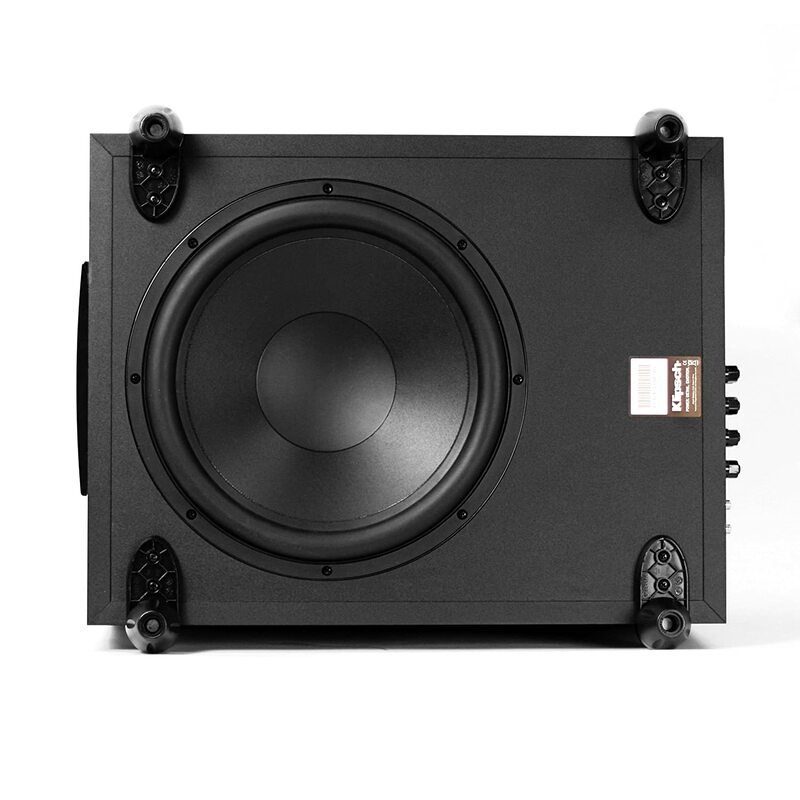 This subwoofer has a maximum output capability of 116dB, which is as good as watching a rock band performance live. The BIC America F12’s horn drivers are among the top for the clarity and range they produce. This means that you get to enjoy audio experience that doesn’t miss out on any detail, from the softest of whispers to the loudest of sounds like explosions. This home theater subwoofer has a wide frequency range from 25 to 200 hertz. It also incorporates a high current BASH 475-watt peak amplifier. With BIC’s patented “Venturi” vent, this home theater subwoofer is able to cancel out port noise effectively, which can be a common problem when you play music or movies that are very demanding on your audio system. Like many other subwoofers, the BIC America F12 has features like an adjustable crossover, customizable volume controls, automatic signal sensing and high-level inputs. This gadget comes with a five-year warranty for parts and labor. Over 90% of Amazon customers have given this home theater subwoofer a 4-star or a 5-star rating and it’s not hard to see why. 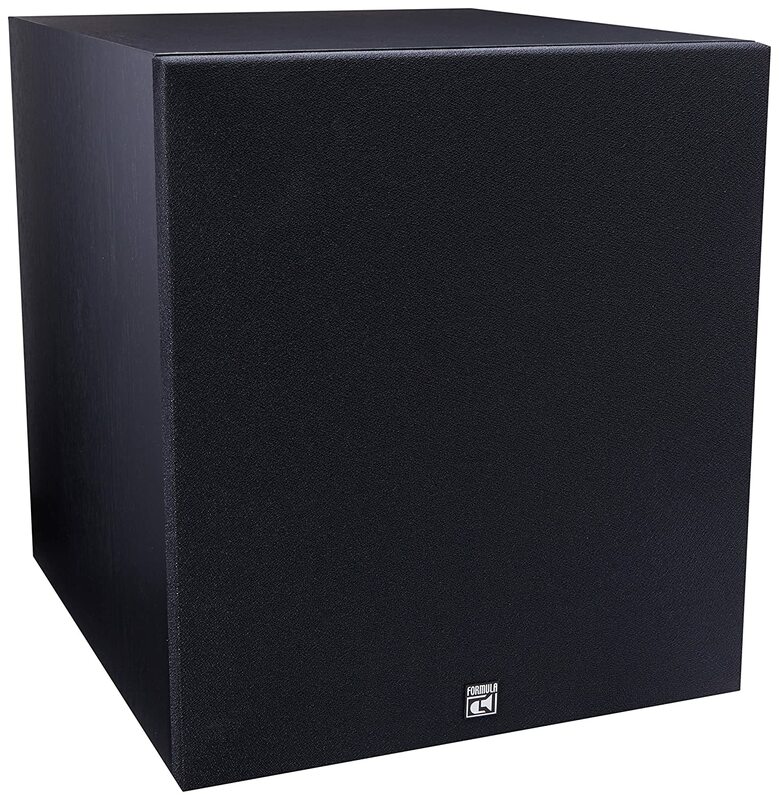 For a price range of $200 to $250 (depending on which seller you choose), the BIC America F12 is a great deal if you want the best output capability home theater subwoofer 2019. As an Amazon customer aptly describes, BIC spent its money on the design of the F12’s driver and amplifier and doesn’t have a price premium for its brand, unlike many other more established subwoofer brands. If you’re still unconvinced, check out this subwoofer on Amazon for more customer reviews! For a hassle-free option when it comes to setup, the SONOS SUB Wireless might just be your ideal wireless home theater subwoofer 2019. In just three simple steps, you can set up this subwoofer and enjoy your home theater system in a jiffy: connect a SONOS speaker to your wireless network, use the SONOS app to set up your SONOS speaker and wirelessly add your SUB to the speaker, and hey presto, it’s done! The SONOS app is available on both Apple and Android devices. Besides the cool wireless feature, the SONOS SUB also boasts of a clear, crisp and loud bass that takes it to the next level. It comes in a sleek design with a gap in the middle that doubles as a handle, but more importantly, helps eliminate some of the rattling noise that you may get from other subwoofers when you are playing demanding music or videos that have low frequency sounds. 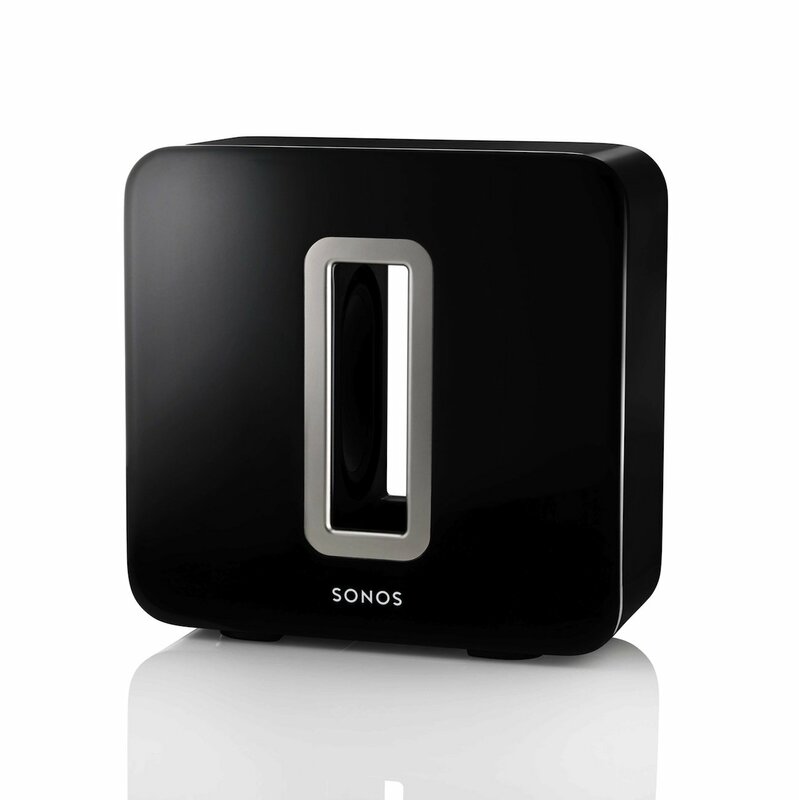 Another plus point: the SONOS SUB is directionless (neither front-firing nor down-firing), so you can place it anywhere in your room. Close to 100% of Amazon customers who have purchased this subwoofer have given it a 4-star or a 5-star rating. With all these rave reviews, you may be wondering why we didn’t select the SONOS SUB to be our best overall or high-end home theater subwoofer 2019. Here are a few reasons why. The SONOS SUB is great, but it only works exclusively with other SONOS products. This may be a major downside if you like to mix and match. For $1,000 or more (depending on the seller), this is quite a pricey subwoofer that only comes with a one-year warranty. All these may explain why this awesome subwoofer doesn’t have a major following in terms of customers. Nonetheless, if you want a wireless home theater subwoofer 2019 that is really convenient to set up and you don’t mind being restricted to SONOS products, we would definitely recommend the SONOS SUB for your consideration. For the best overall home theater subwoofer 2019, we present the Klipsch Sub-12HG. This is a 12-inch down-firing subwoofer with a broad frequency range of 24 to 120 hertz. It comes equipped with a 300-watt BASH amplifier that delivers 650 watts of dynamic power. For the price just below $240, you get a decent home theater subwoofer with deep, accurate bass and output and a whole host of other features. Its low pass filter, phase control and levels are adjustable, which are great features for your home theater system. The crossover works continuously to adjust from 40 to 120 hertz to give you the broad frequency range that you want. Pair this subwoofer with quality speakers and you can get this subwoofer to deliver two of the lowest 10 octaves that are audible to our human ear. Many Amazon customers who have reviewed this product have sworn by the warm, rich bass it produces. What’s more, all Klipsch subwoofers come with a five-year warranty. To date, over 90% of Amazon customers have given this home theater subwoofer a 4-star or a 5-star rating. This is a clear testimony of the Klipsch Sub-12HG’s all-rounded qualities when it comes to its bass, its price range, its frequency range and its convenient features. Considering that this subwoofer is now a discontinued model by Klipsch, we reckon that you should snag this subwoofer soon if you don’t want to be disappointed. Check out our top five best home theater subwoofers 2019 now! Especially for those items that are selling fast, you don’t want to miss out on a good deal!